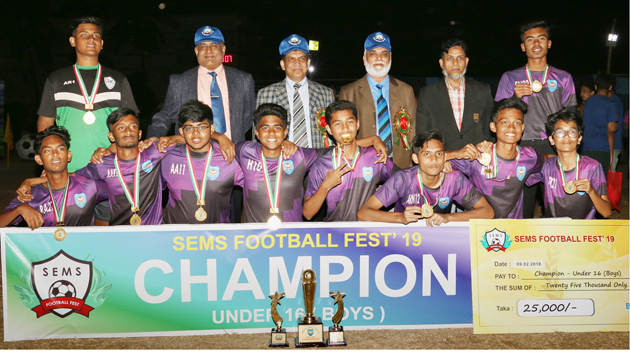 Inter-English Medium School Football Fest organized by BAF SEMS concluded at BAF Shaheen College playground on Saturday night (09-02-2019). 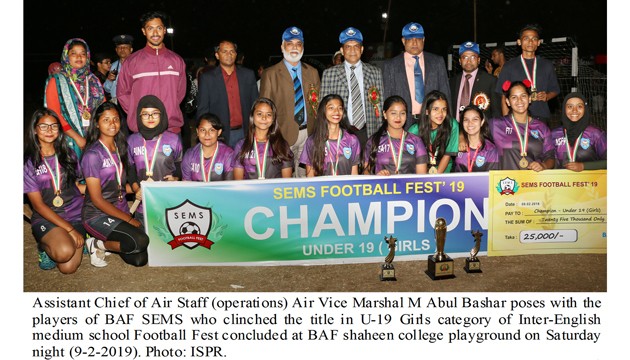 A two-day tournament experienced its final moment with the Final match of U-19 Girls’ category where BAF Shaheen English Medium School (BAF SEMS) clinched the title after an exhilarating and breath-taking final match beating DON BOSCO School by 3-2 goals margin. Earlier, the final matches of U-16 & 19 Boys group were also held in a befitting fashion where the spectators witnessed some thrilling moments, great dribbling & passing skills from the young players. In U-16 boys category, BAF SEMS became champion beating Seabreeze school by 4-1 goals. In U-19 Boys category, Bangladesh International School & College (BISC) clinched the title by beating Delhi Public School (DPS) by 3-1 goals . As the chief guest, Air Vice Marshal M Abul Bashar, BBP, OSP, ndc, acsc, psc, Assistant Chief of Air Staff (Operation), Bangladesh Air Force was present among the spectators to witness the final match. The principal of BAF SEMS Group Captain Ferdous Mannan, psc, also delivered speech. In his speech, he thanked the twenty-four joining schools and all concerned people for being part of SEMS’ historic journey of acquaintance. 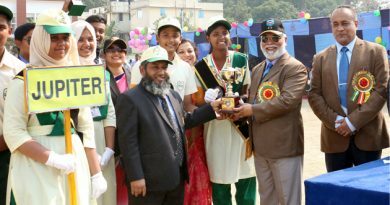 Later on, the Chief Guest along with AOC, BSR & Principal SEMS distributed the prizes among the players and team officials of champion and runner-up teams. There were also individual category awards i.e. Top Scorer, Best Goalkeeper, Best Defender and Most Valuable Player from each category. Mentionable that, the tournament started on 08 February 2019 and 430 players (boys & girls) from 24 renowned English Medium schools of the city played in 80 matches in three different categories. All participating teams enjoyed the event in true spirit of sportsmanship. 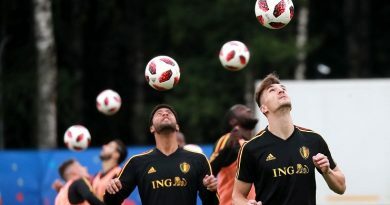 They returned home happily and desired to participate in future. ← The global leadership must come forward to resolve this Rohingya crisis at its root, not in Bangladesh says Bangladesh Foreign Minister Dr AK Abdul Momen . 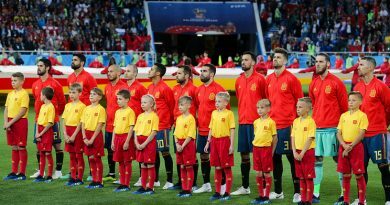 Russia to play vs Spain in knockouts of FIFA World Cup 2018 ,The match will be played at Luzhniki stadium in Moscow on July 1.